Hours: Open today · 9:00 a.m. – 5:30 p.m.
a and BVD Testing, an internationally recognised standard of overall excellence and a further guarantee to clients of the level of service provided. For more than 35 years Oldcastle Laboratories Ltd. has offered a top level, independent analytical and diagnostic service to the agricultural, pharmaceutical, food processing and environmental control industries. The history of the business is one of constant development to meet the needs of modern industry and the lab reached another milestone when it gained IS0 9001: 2008 certification, an internationally recognised standard of overall excellence and a further guarantee to clients of the level of service provided. The ISO 9001:2008 certification covers all chemical and microbiological testing of agricultural and industrial samples. The ISO 17025 certification covers: BVD Antigen, Johne’s Disease and Salmonella tests. 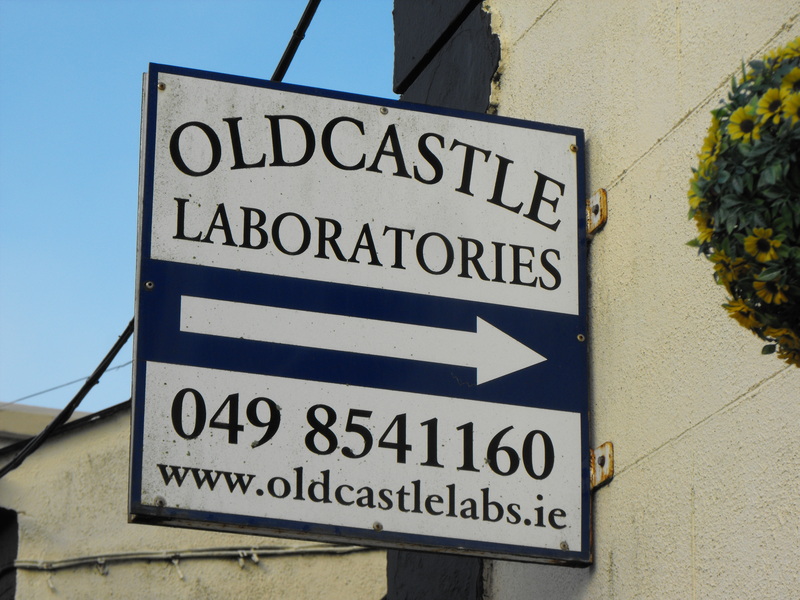 ISO 17025 Accreditation – In February 2012 Oldcastle Laboratories was accredited to the ISO 17025 standard by the National Accreditation Board for Salmonella Testing. This is an international accreditation and is a further guarantee of the service provided here at Oldcastle Laboratories. The scope of this accreditation covers Dairy and Food products, animal feeds, swabs and animal litters. As well as being suitable for those required to test food samples under European commission regulations, this test also fulfils the requirements of the department of Agriculture’s Poultry Salmonella Regulations. Such international recognition is not easy to achieve, particularly in a busy laboratory where a very large number of processes are carried out. Every aspect of the business must reach the highest standard and Oldcastle Laboratories can be proud of the accomplishment. The laboratory was established by Noel Kavanagh when he set up a small microbiology lab as a diagnostic aid to the veterinary profession back in 1975. Noel is an internationally recognised expert on pigs. A major part of the veterinary practice is geared towards maximising pig health and production in the Irish pig industry. Farm and Veterinary services previously provided by founder Noel Kavanagh are now conducted by Mike Burke. In 1981 the lab moved to its present site at Cogan Street when continued expansion and development led to construction of a purpose-built laboratory in the mid 1980’s. The laboratory now employs a staff of 14 led by Managing Director Paula Clarke. Over the years the laboratory has built up a client base all over the country including Northern Ireland and England. Work has also been carried out for companies based in continental Europe. With most food processing plants operating to HACCP or similar guidelines, analytical services geared towards plant hygiene monitoring are provided. Analytical services also cover animal feedstuffs, forages, soils, water, effluent, milk quality and composition, bacteriology and biochemistry. Services are constantly updated in line with customer requirements. The increased emphasis on environmental issues has led to a rapid expansion in soil and water testing. Soils are tested for general agricultural purposes and for spread-land assessment for EPA licensing and planning permission purposes. A full range of analysis is available for water and effluent. This covers water quality for human consumption and count council grant purposes, assessment of surface and groundwater for EPA licence purposes and monitoring of effluent discharges from factories, hotels etc. Currently the services offered by the independent consultant veterinarian include feed complaint investigations, clinical trials, management/ consultancy, lecturing, product liability claim investigation/ expert witness. In addition Noel is available to provide us with the benefit of his expertise when necessary.